New Rush franchise salon coming soon! Rush are continuing to grow into 2016, the first Rush franchise salon opening this year is with Rush franchisee, Liliana Ionescu. I talk with Liliana in the run up her new Rush West Hampstead salon opening on February 20th. Hi Liliana, tell us about yourself what did you do before opening a Rush franchise? LILIANA: I am an experienced hairdresser and salon manager, I have worked in salons for the last 15 years. I then moved to London and started to work in retail, where I became a store manager. These two jobs have given me the skills I need as a franchisee in my new West Hampstead salon. 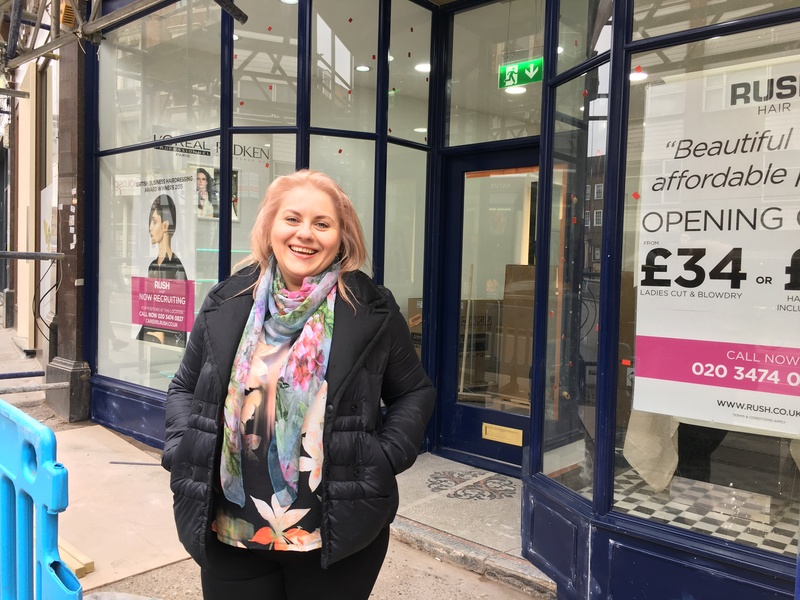 LILIANA: I’m so passionate about hairdressing and have wanted to run my own salon for such a long time so I began researching hair salon franchising as an option. I decided to open a Rush franchise because through my research I realised that everything Rush offered their franchisees were by far the best I could find and in line with my own expectations. Right from the start I felt part of the Rush family and was offered all the support every new franchise owner needs. Tell me about your location, why did you choose West Hampstead? LILIANA: I’ve lived in North-West London for the last decade and I can see the amazing business opportunities for a Rush hair salon in West Hampstead. The area is growing with an beautiful high street and excellent transport links. Recent residential and commercial developments have shown the future potential and how sought-after West Hampstead has become. Stay tuned on our blog about the Rush West Hampstead grand opening on the 20th February.